Home > Life > Will Sitting Too Close To The TV Make You Go Blind? Fact-checking your mom’s favorite scare tactic. The last time I was home I caught my nephew sitting on a stool about 12 inches away from the TV screen. “Can you not see from farther away?” I asked, alarmed. “I’m just trying to hear,” he said. Admittedly the room was full of family, and therefore quite noisy. “That’s bad for your eyes,” I almost said, but caught myself. Isn’t 12 inches about as far as I sit from my PC monitor? What about the three inches that separate my face from my smartphone? People my age (I’m in my 40s) were raised to believe that sitting too close to the TV would make you blind. Yet as far as I can tell, we’re not all blind, despite staring into screens for hours a day. Are we all slowly blinding ourselves en masse, or was it just an old wives’ tale? I decided to find out. In the olden days, a cathode ray tube — basically a big gun — shot particles of light at the screen, and those particles were what made up TV shows. Sounds dangerous, right? Well in one case, it actually was, and that’s the nugget of truth behind the wives’ tale. Scientific American reports that in the 1960s, General Electric sold color TVs that “emitted excessive amounts of radiation — as much as 100,000 times more than federal health officials considered safe.” Though GE quickly recalled the faulty TVs, people’s fears about TV radiation remain to this day. But any TV besides that old, recalled GE model — whether it’s a cathode-ray, plasma or LED screen — is safe to sit in front of. “There is no evidence that this damages the eyes either in children or adults,” writes ophthalmologist Lee R. Duffner of the American Academy of Opthamology. However, close TV watching can cause eye strain, which, while not dangerous, can cause dry eyes and headaches. Duffner says this habit usually diminishes as kids grow up. The solution to eye strain is pretty undramatic, too. Just turn off the TV and get some rest. I was right, however, to ask my nephew why he was sitting so close to the TV. 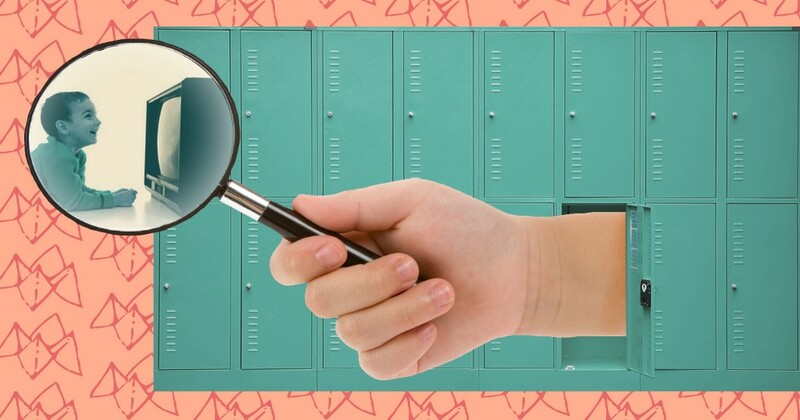 That can happen when a child has undiagnosed nearsightedness — as I did until I got my first pair of glasses when I was six years old. So if a kid is always sitting right in front of the TV, you might want to get their eyes tested. Which frankly, you should do anyway. If, after all this, the sight of a child parked in front of the TV still irrationally irks you — as it does me — take heart. Watching TV drastically increases the likelihood your wee ones will be obese and have weight problems later in life. Like, by 72%. Harvard says two hours a day is a good limit, but when I was a kid, I was restricted to four hours a week. 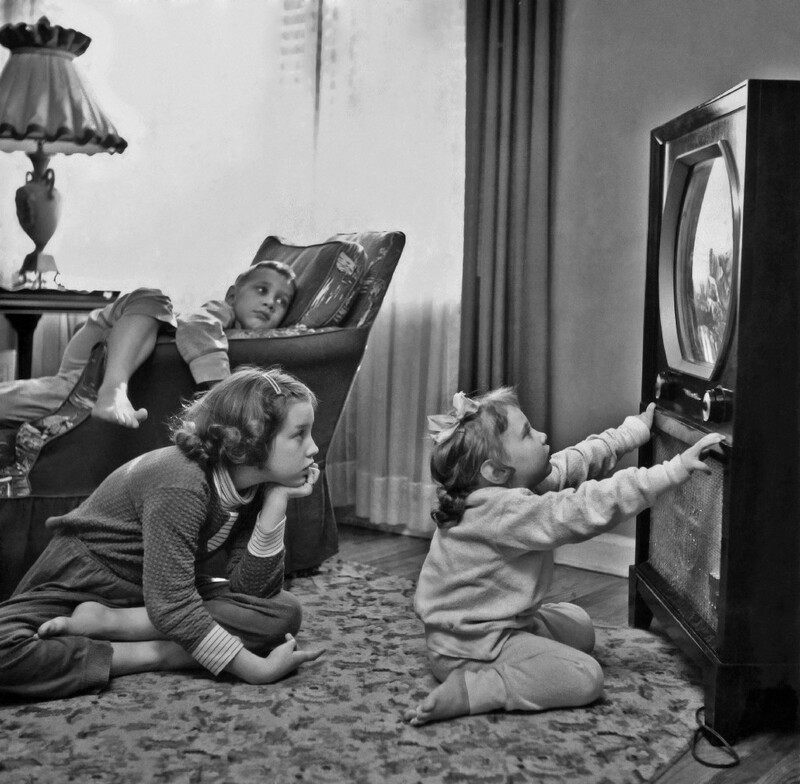 So no matter what else may have changed, TV is still bad for children. Go outside already.